The influential National Rifle Association, which staunchly opposed moves to tighten gun control laws following the Orlando massacre and others, said on Thursday that bump stocks, which remain legal, "should be subject to additional regulations". Las Vegas: The U.S. gun lobby, which has seldom embraced new firearms-control measures, voiced a readiness on Thursday to restrict a rifle accessory that enabled a Las Vegas gunman to strafe a crowd with bursts of sustained heavy fire as if from an automatic weapon. Police have said the shooter, Stephen Paddock, equipped 12 of his weapons with so-called bump-stock devices that allow semiautomatic rifles to operate as if they were fully automatic machine guns, which are otherwise outlawed in the United States. Authorities said his ability to fire hundreds of rounds per minute over the course 10 minutes from a 32nd-floor hotel suite was a major factor in the high casualty count - 58 people killed and hundreds wounded. Paddock, 64, killed himself before police stormed his suite. The carnage on Sunday night across the street from the Mandalay Bay hotel ranked as the bloodiest mass shooting in modern U.S. history, surpassing the 49 people shot to death last year at a gay nightclub in Orlando, Florida. Senior Republicans also signalled they were ready to deal with the sale of bump stocks - an accessories gun control advocates regard as work-arounds to bans on machine-guns. "Clearly that's something we need to look into," House Speaker Paul Ryan told radio talk show host Hugh Hewitt, referring to the accessories. "I didn't even know what they were until this week ... I think we're quickly coming up to speed with what this is." The No. 2 Republican senator a day earlier had called for a review of bump stocks. Democrats were already urging new legislation, as the shooting reignited the long-standing U.S. debate over regulation of gun ownership, protected under the Second Amendment of the U.S. Constitution. 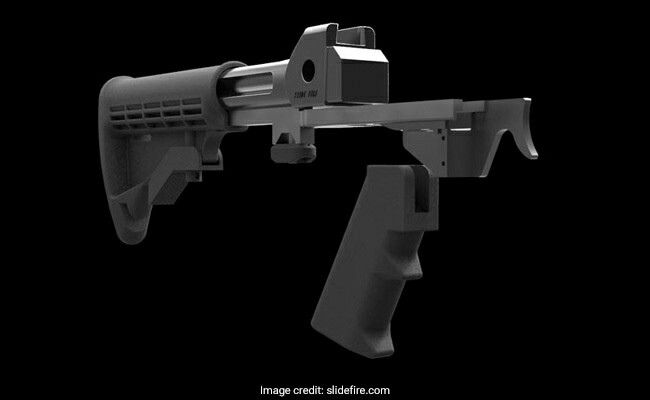 U.S. Representative Steve Scalise, a member of the Republican House leadership who is himself a victim of gun violence, voiced concerns that hasty moves in Congress to restrict bump stocks could lead to wider limits on "the rights of gun owners." "There are people who want to rush to judgement," Scalise said in an MSNBC interview on Thursday. U.S. President Donald Trump, an outspoken proponent of gun rights during his campaign for the White House, suggested he was open to curbs on bump stocks. Asked while talking to reporters if they should be banned, he replied: "We'll be looking into that over the next short period of time." Investigators, meanwhile, remained baffled at what drove Paddock, a well-off retiree and avid gambler, to assemble an arsenal of nearly 50 firearms, thousands of rounds of ammunition and a supply of explosives before opening fire on a country music festival attended by 20,000 people. Reports emerged on Thursday that Paddock may have targeted other sites for attack in Chicago or Boston. Before the Las Vegas shooting, a man named Stephen Paddock booked rooms in a Chicago hotel that overlooked the grounds of the Lollapalooza music festival last month, a spokeswoman for Chicago's Blackstone Hotel said in an e-mail. It was unclear if that person, who never checked in, was the same Stephen Paddock, the spokeswoman said. Paddock also researched locations in Boston, including Fenway Park, the baseball stadium in Major League Baseball, NBC reported, citing multiple law enforcement sources. Police in Boston and Chicago said they were aware of the reports and investigating them. Clark County Sheriff Joseph Lombardo confirmed on Wednesday that Paddock, on the weekend before his attack, rented a room at a downtown Las Vegas luxury condominium complex, the Ogden, near the site of another music festival. Lombardo said police were reviewing video to determine what Paddock did there. Discerning Paddock's motive has proven especially baffling as he had no criminal record, no known history of mental illness and no outward signs of social disaffection, political discontent or extremist ideology, police said. Paddock's girlfriend, Marilou Danley, 62, was questioned by the FBI on Wednesday and said in a statement she never had any inkling of Paddock's plans. Danley, who returned late Tuesday from a family visit to the Philippines, is regarded by investigators as a "person of interest." The Australian citizen of Filipino heritage is cooperating fully with authorities, her lawyer said. Danley shared Paddock's home at a retirement community in Mesquite, Nevada, northeast of Las Vegas, before travelling to the Philippines in mid-September. Investigators questioned her about Paddock's weapons purchases, a $100,000 wire transfer to a Philippine bank that appeared to be intended for her, and whether she saw any changes in his behaviour before she left the United States.